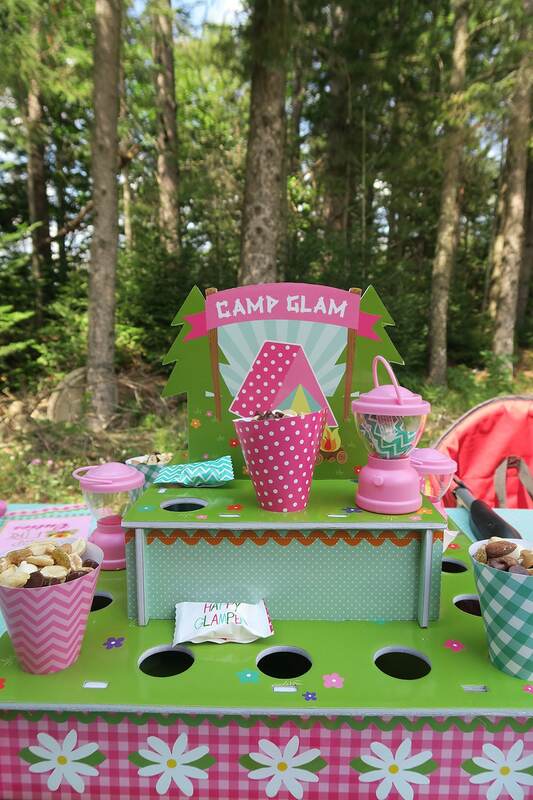 A camping birthday party is perfect for girls, young and old! 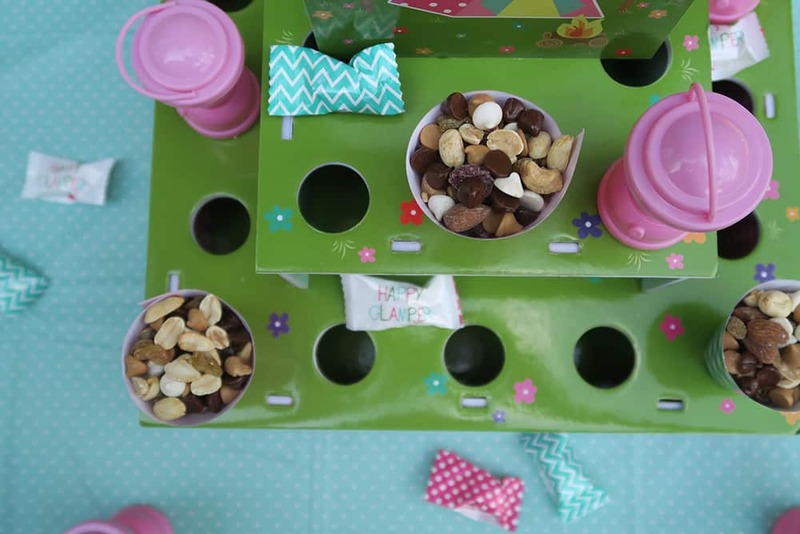 This is one of the easiest cheap birthday party ideas that’s fun for the whole family. I can’t be the only mama out there that doesn’t want a lot of fuss on birthdays, right? Truly, I just want simple. Easy. Laid-back. Focusing on the person and spending quality time with family. That goes for my birthday and, while she’s younger, it goes for Lily’s birthday, too. This cake was ahhhhmazing. 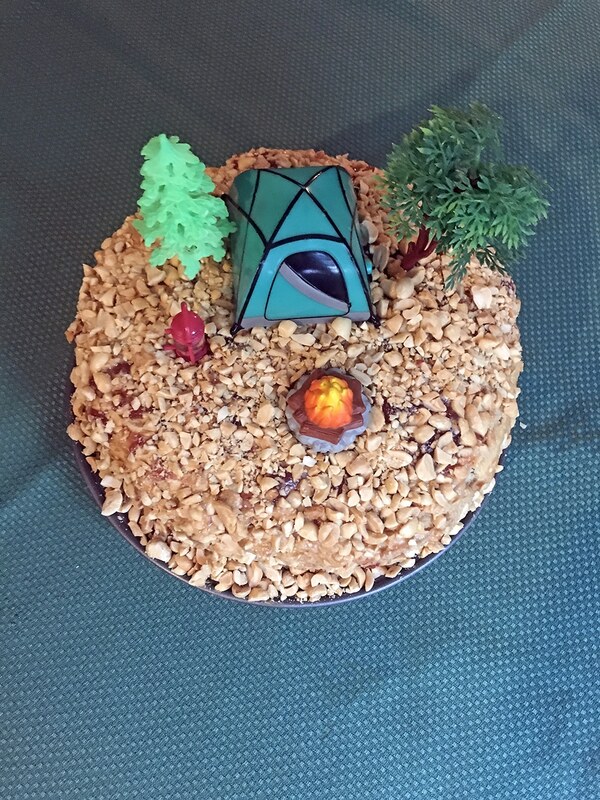 I tweaked this peanut butter and jelly cake recipe a little bit and made a camping cake to celebrate our actual plans for her birthday. We did the whole smash cake thing and we skipped opening presents at her party so we could focus on her. And it was perfect. Especially because the next weekend? It was just the four of us, camping in Door County. 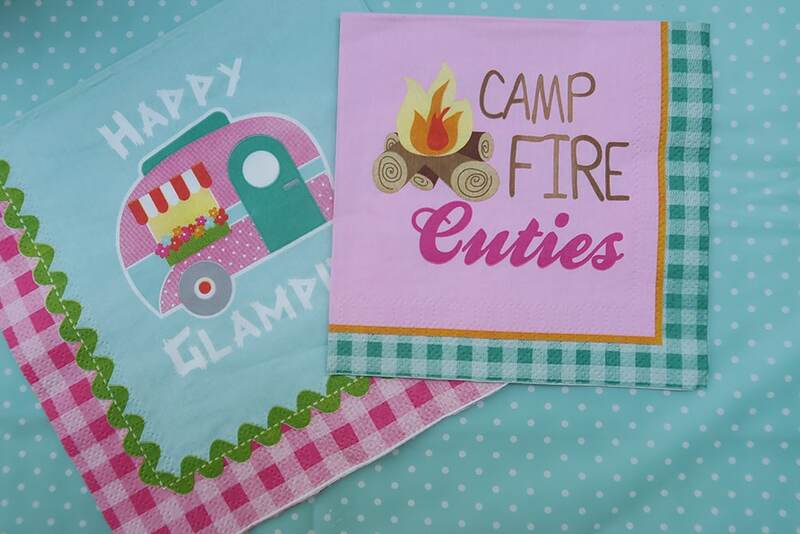 Which is where the camping birthday party theme came from. We knew we wanted to camp at the end of July for cherry picking, so we figured why not camp over her birthday? 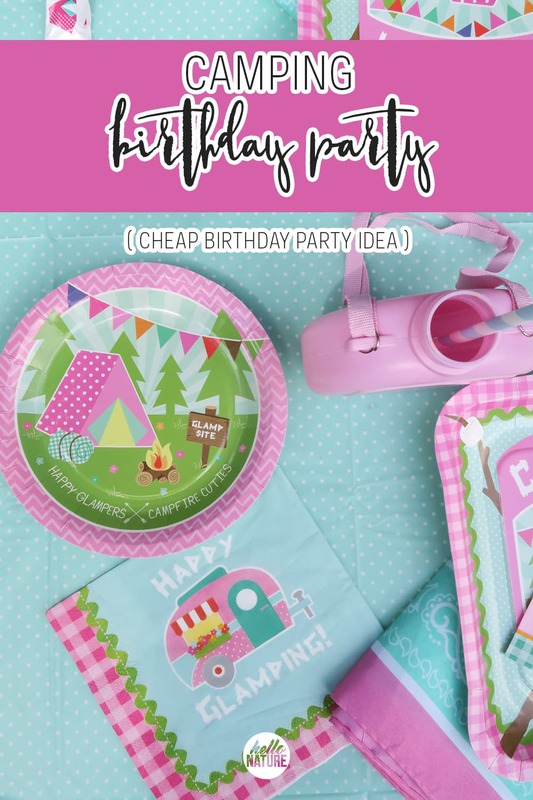 It was one of my favorite cheap birthday party ideas (okay, so THE favorite idea) and Lily loves camping so it seemed like a no-brainer. Luckily, I was able to get all of her camping birthday party supplies at Oriental Trading. 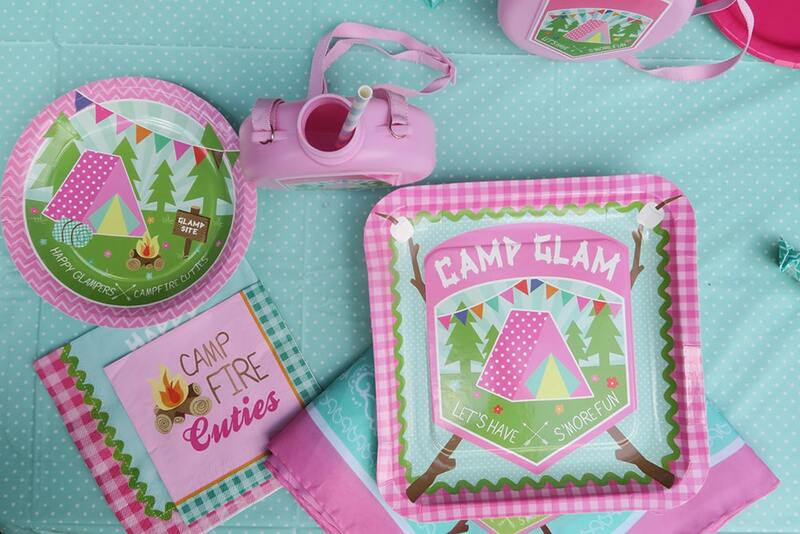 They have everything you need for your camping birthday party ideas. 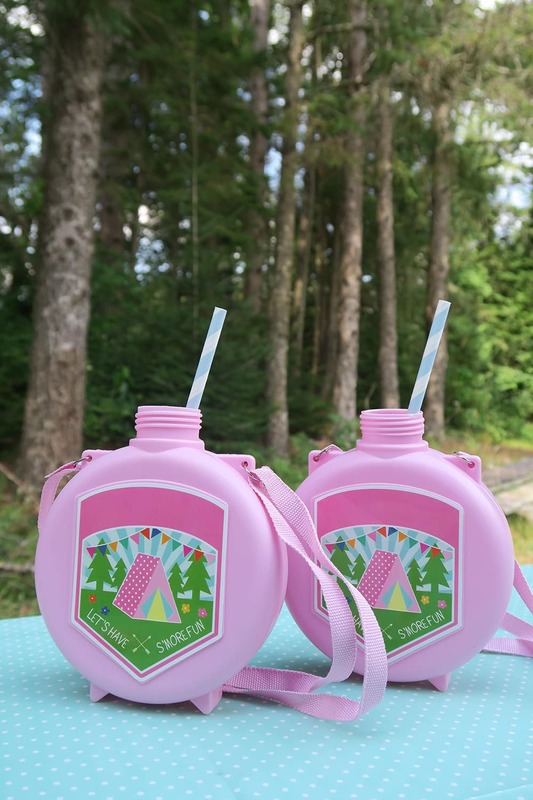 Whether it’s a girl’s camping birthday party or a boy’s camping birthday party, backyard camping birthday party or full on campsite birthday party – Oriental Trading has you covered! Clearly, at one, Lily probably didn’t care too much what her birthday party looked like. But me? 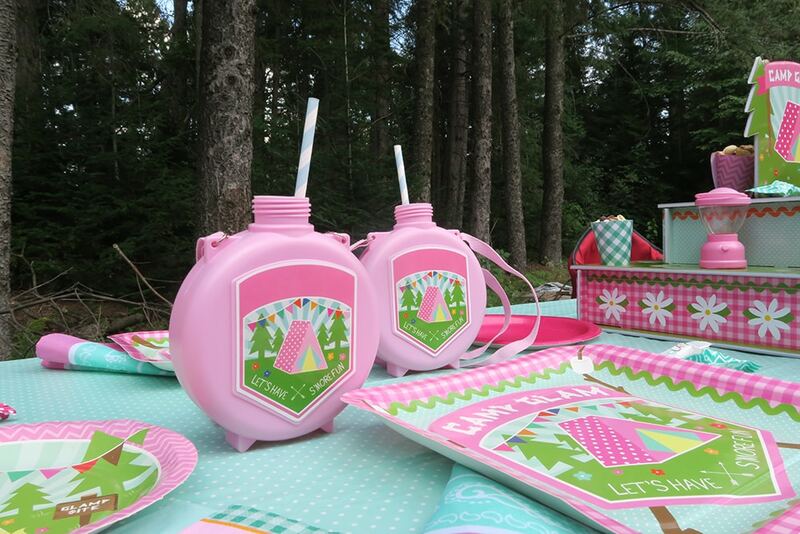 I was smitten with all of these cute, not too girly camping birthday party supplies. I may have lived vicariously through her birthday because camping in January, when my birthday is, sounds like torture here. 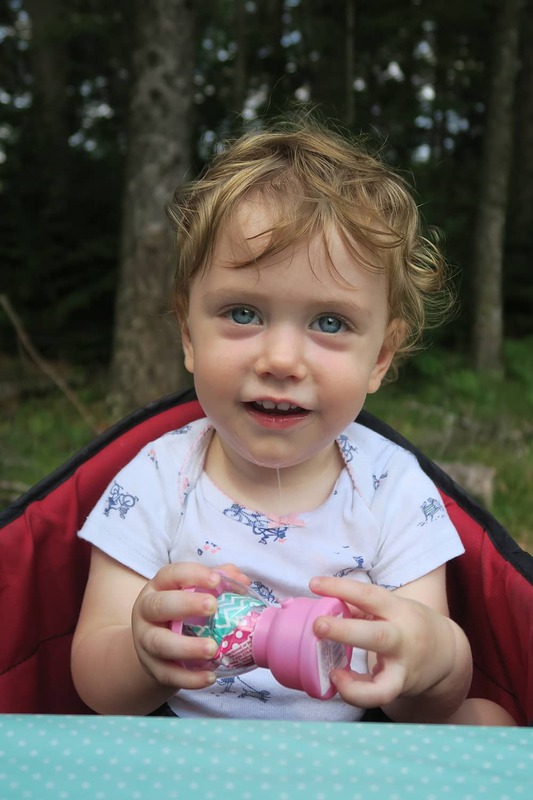 We spent her birthday eating delicious food and then cherry picking before we headed back to the campsite. 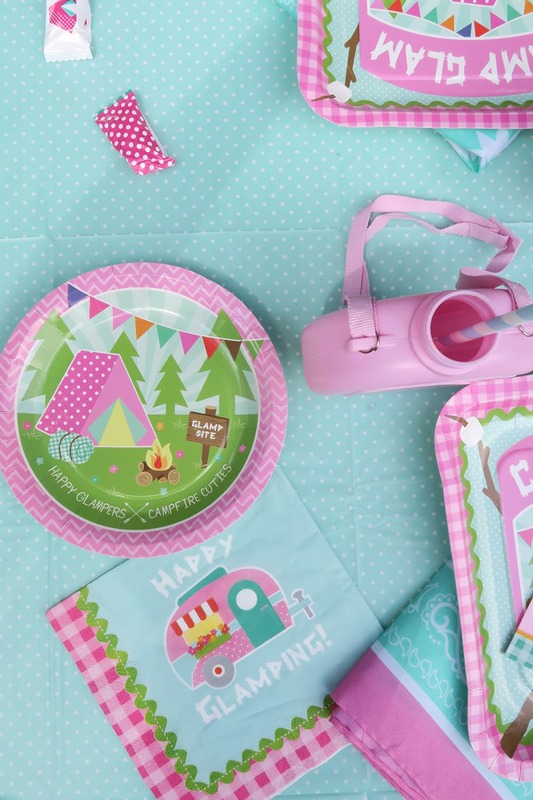 These camping birthday party supplies were perfect for us three, but we could have easily fed pretty much all of our immediate family. The great part about all of this is how inexpensive it is. 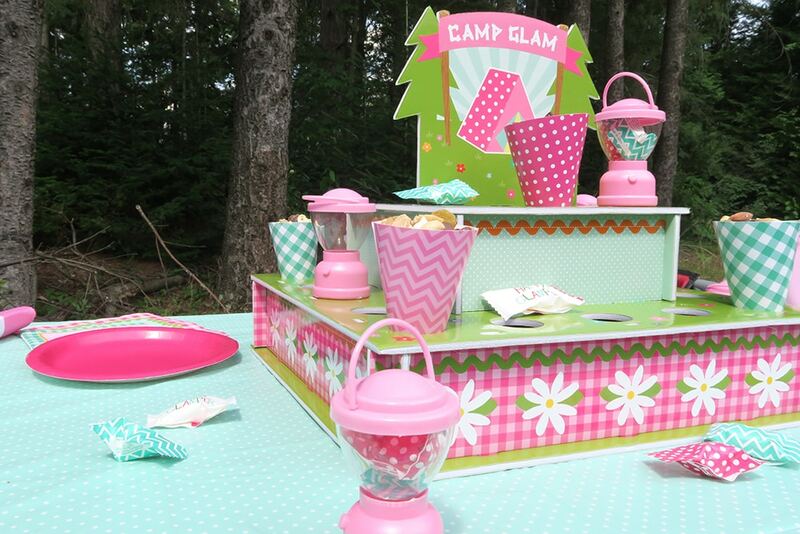 For less than $75, you can get your campsite or your backyard setup for the perfect camping birthday party. And you bet we’ll be using these supplies for the rest of our camping trips this year. 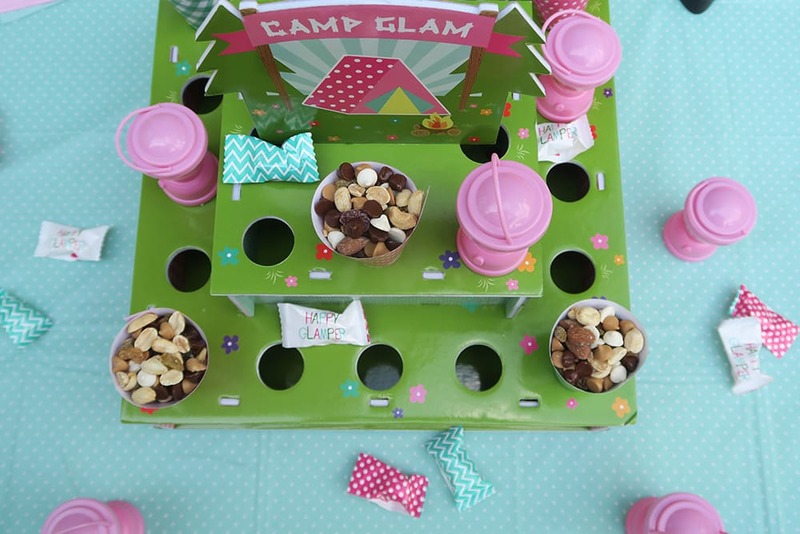 When it comes to cheap birthday party ideas (especially for kids) – a camping birthday party is where it’s at. 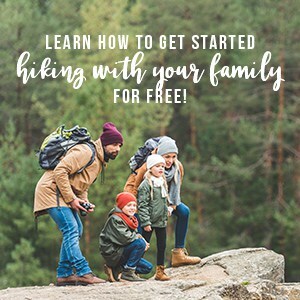 It’s relaxed, fun for the whole family, and can be easily customized for kids or adults. How do you prefer to spend your birthdays – go big or go home? How cute! I love Oriental Trading too. Looks like it made this super simple to go with as a theme. I love this idea! You are so smart for ordering all your b-day supplies online. My little girl’s birthday is less than a week after Christmas and I spend most of my time after the holiday getting ready. It is exhausting! Definitely going to order online next time. Thanks!! Thank you, Cindy! YES! Ordering online was a lifesaver. I don’t have the patience or time to shop for all that, haha. Such a cute party theme! I’m trying to think of some themes a little different than the standard and this is definitely at the top of the list now! Thanks so much, Mackenzie! It really is a little bit different, but we had so much fun! 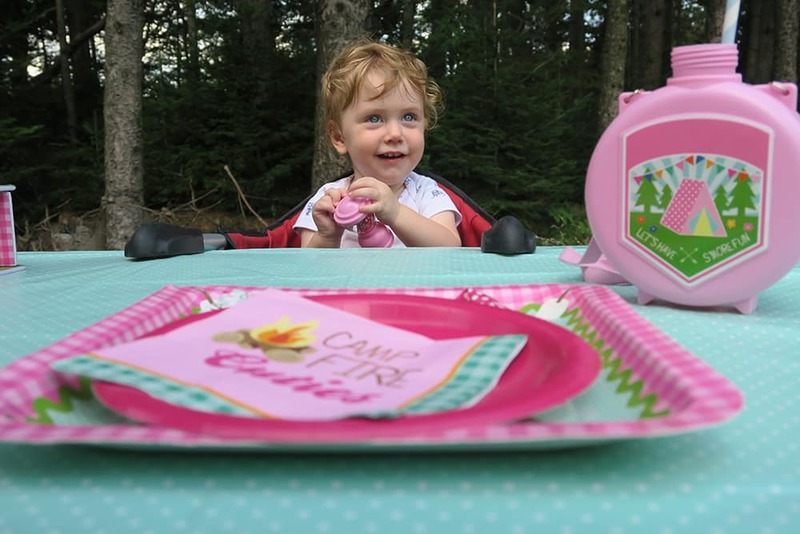 Your daughter is adorable and I love all the camping items. 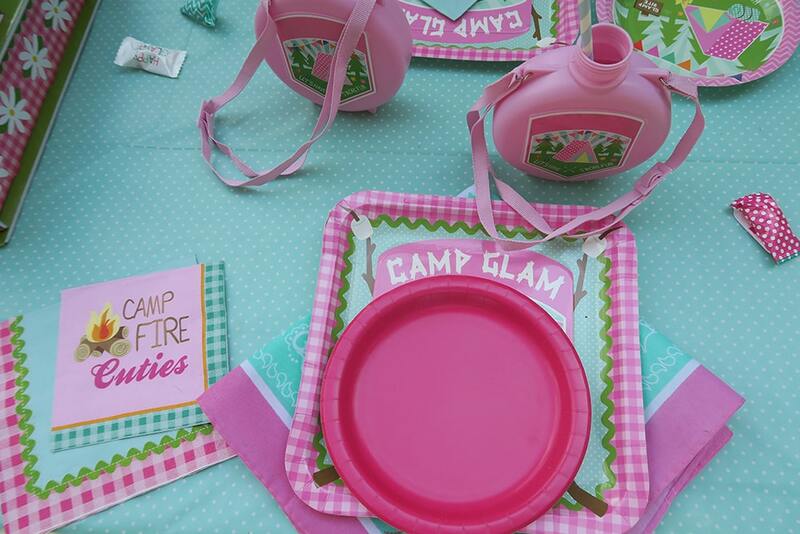 We camp almost every weekend and I love to shop of fun camping plates and stuff to go with it for adult. There is so much out there these days. 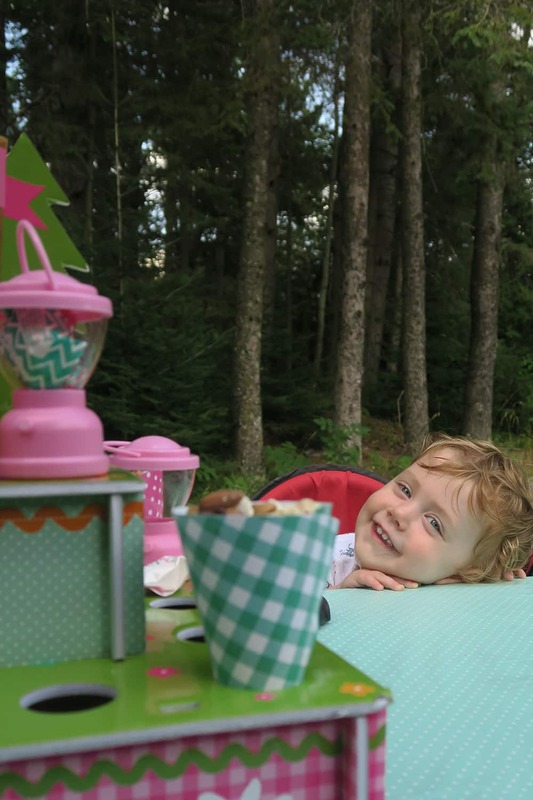 We did a camping theme for our daughter’s 2nd birthday — along with a camp-out! So fun and I love your cake! I wish my kids had summer birthdays!! I would totally do that! Thank you so much for sharing at #bloggerspotlight, I’m super jealous! !